It’s interview time today, and I’m delighted to welcome Julia Roberts to my blog. This is an excellent interview- I advise you to pop your feet up for five minutes to join us for a chat and a cuppa. What an amazing life! I have to be honest and say that it was a holiday to the beautiful island of Mauritius. I had been receiving treatment for almost a year for a type of leukaemia and the medication, whilst working effectively to bring the condition under control, made me very tired. What was needed was a relaxing ten days in paradise but on the first morning of the holiday I sat on the beach under the shade of a straw parasol, the sound of the waves crashing on the distant reef and the seed of an idea for a novel started to grow. Over the course of the holiday I lived and breathed the story and the characters, as did my poor long-suffering other half, and by the time we were waiting at the airport for the journey home I had the plot for not just one book, but the entire Liberty Sands trilogy. Book one, Life’s a Beach and Then… begins in Mauritius and the final book, It’s Never Too late To Say… concludes there, so it comes full circle. A lot of people have said that two of the characters in Life’s a Beach and Then… reminded them of me. Rosemary is a sixty year old ex-dancer who has CML, but there the similarity ends, and Holly is like me in looks but twenty years ago. I think Holly’s son Harry was definitely modelled on my own son and our relationship, whilst the character of Amy has a lot of my daughter in her. I guess the answer to that question has to be a resounding yes – it’s a good job I know a lot of people. All of my books to date have included far flung destinations as my main female character, Holly, is an undercover travel blogger. Fortunately I have travelled to all the places I have written about, either on holiday or for work, apart from Cuba which I had to rely on my daughter’s experience of. One of my characters in the first book had Chronic Myeloid Leukaemia, which I have firsthand experience of but in the final part of the trilogy I had to rely on the internet for my research into alcohol induced dementia. At the moment all my writing has been in third person close. I like getting inside the heads of the various different characters. I hope as my writing skills improve I will feel confident enough to experiment and write in first person but obviously it will depend on the plot. I like to have a general outline of the story rather than just sitting down to write but I have found with all three of my novels that some of the best passages of the book have just come to me during a writing session, almost as though they are being given to me. Sorry if that sounds weird. I have a full time job working as a presenter on QVC which means I don’t have as much time to write as I would like. My shift pattern is that I work eight days out of nine, which is tough, but I then get a five day break – these are my writing days, my creative days, although I don’t mind doing a bit of editing before or after my QVC commitments. Sharing it with my readers and getting their feedback. There is nothing better than when someone is so engaged in the story that they will come up to you and start talking about your characters as though they are real people. I remember one of our QVC guests, Gill, coming up to me and saying, ‘Don’t you let anything happen to my Rosemary.’ I had to avoid her for about a week after that. 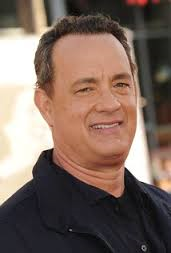 Tom Hanks – he’d have some great anecdotes from all the movie stars he’s worked with and he might be quite useful at surviving based on his role in Castaway. Bear Grylls – because he really does know how to survive in extreme conditions. And the other Julia Roberts – just because I would like to meet her. My current WIP is a short story which will be available to download free on my new website. Julia Roberts is probably best known as the trusted face of the UK’s most successful shopping channel, QVC, but she had enjoyed a rewarding and varied career in the entertainment industry for many years prior to launching the channel in 1993. She was born in Nottingham in 1956. At fourteen months old she contracted the deadly disease Polio which left her fighting for her life and subsequently hospitalised for five months. Swimming and dancing lessons, which helped her to walk without the aid of a calliper, have both played an important role in her later life. 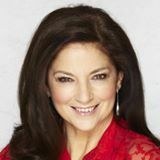 Julia started her professional career at the age of 16 as a dancer in a summer show in Guernsey. This was followed by pantomimes in Leeds, Croydon and Watford as well as further summer seasons in the Channel Islands. Deciding to leave the UK and see a bit more of the world, she danced on cruise ships, in a theatre show in Barcelona, and performed as a singer/dancer in a cabaret show in Hong Kong. In 1980 Julia appeared in The Song for Europe as part of a band called The Main Event performing alongside Cheryl Baker, who went on to join Buck’s Fizz the following year while Julia signed a record deal with her band Jools and the Fools before moving into television. Having featured in various TV commercials, notably the Woolwich Building Society and Head & Shoulders shampoo, and small television acting roles in Citizen Smith and Doctor Who, Julia became a hostess on the first and second UK series of the hit American game show, The Price is Right. This was followed by becoming a member of the ‘Hit Squad’ on comedy series Beadles About before she took a short career break to have her two children. It was during this break in her career that Julia decided to try her hand at presenting. Her first presenting job was for Vauxhall motors at the 1989 Motor Show at Olympia during which she was approached and offered a job presenting several weekly ‘magazine’ style shows for her local television channel in Croydon. One of these was called Palace Chatback and led to her passion for Crystal Palace Football Club, a team she still supports today. In addition to this show, Julia has produced and presented several features for Sky Sports. In 1993 Julia successfully auditioned to become a Presenter for a new shopping channel, QVC, and appeared in the opening sequences which launched the channel with co-presenter, Jon Briggs. Little did she know that this was the start of a long, successful career with the channel which now boasts over 25 million viewers in the UK alone, with over 1 million active customers. Throughout this time, she has shared the screen with many famous names, including the likes of the late Joan Rivers, Marie Osmond, Sir David Attenborough, Joan Collins and Lulu, to mention a few. Julia has now written and released 4 books. Her first book, a memoir entitled One Hundred Lengths of the Pool, was published in 2013 by Preface Publishing for Random House and sold out of 5000 hardback signed copies exclusively on QVC. The title of this book was inspired by her battle against polio in her early years, and the huge part that swimming played in allowing Julia the chance to walk unaided. A percentage of proceeds from her book sales were donated to the End Polio Now campaign as well as the British Polio Fellowship. Close to completing the finishing touches to her first book, Julia was faced with a new health challenge. She was diagnosed with a rare type of blood cancer, Chronic Myeloid Leukaemia. After such a tough year continuing to work full-time at QVC, signing her book deal, and battling her new illness, Julia needed some R&R so booked a much needed holiday for herself and her partner, Chris, to a place she had always longed to visit, Mauritius. 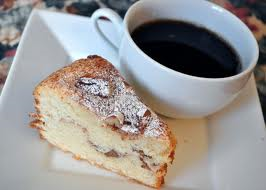 On the first morning of the holiday Julia had an idea. Using her recent experience of Chronic Myeloid Leukaemia as a basis for one of her main characters she began to write her debut novel Life’s a Beach and Then… she donates a percentage of profits from this book to the charity Bloodwise (formerly Leukaemia & Lymphoma Research). 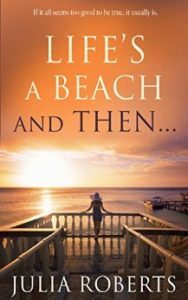 Julia published Life’s a Beach and Then…, part one of the Liberty Sands trilogy, in May 2015, followed by If He Really Loved Me… in November 2015 and the final part of the trilogy, It’s Never Too Late To Say… in May 2016. All three books have featured in the top 100 Amazon Kindle Romance charts and enjoy an average 4.8 star rating from more than two hundred and fifty customer reviews. Now living in Berkshire with Chris, her partner of 38 years, Julia divides her time between QVC, writing, Pilates, attending Crystal Palace matches and supporting the two charities that she holds close to her heart; British Polio Fellowship, for whom she is an ambassador, and Bloodwise. Wow!! What a CV!!! Many thanks for joining us today Julia. Wow. I have read all four of Julia’s books. The Liberty-Sands-Trilogy. Was fantastic. Julia left you on cliff hangers with the first 2. I couldn’t wait for the 3rd book, when I got it, I thought no don’t read it yet, but the book got the better of me, then when I finished reading it, I could have kicked myself for finishing it. So pleased it ended the way I was hoping it would, mind you half way through the 3rd book I thought oh no, but like I said it ended the way I hoped. I was lucky enough to meet Julia when she had a book signing in Windsor. Met both Chris and Sophie, such a nice family. I can’t wait for Julia’s next book.